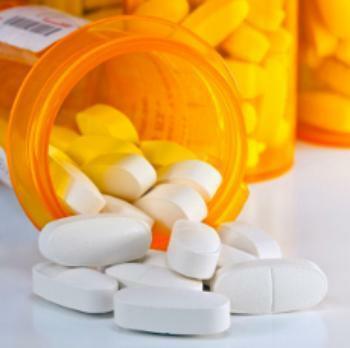 When it comes to prescription drugs, it seems that more people are taking them than not. In a recent study, researchers at the Mayo Clinic found that almost 70% of Americans take at least one prescription drug, 50% take two and about 20% of patients take five or more prescription medications. The drugs most commonly prescribed were opioids, antibiotics and antidepressants. Dr. Jennifer St. Sauver, one of the study authors, says the findings concern her and show just how big a problem mental health really is in the United States. "Often when people talk about health conditions they're talking about chronic conditions such as heart disease or diabetes," she said. "However, the second most common prescription was for antidepressants. That suggests mental health is a huge issue and is something we should focus on. And the third most common drugs were opioids, which is a bit concerning considering their addicting nature." A study by the Centers for Disease Control and Prevention produced a different set of numbers. It found that the percentage of Americans on at least one type of prescription medication increased from 44 to 48% in the last 10 years. The people who were prescribed at least two drugs increased from 25% to 31% during that time period. And the folks who were prescribed at least five or more drugs went up from 6 to 11%. Dr. Steven Hollon, professor of psychology at Vanderbilt University, said a good number of people aren't benefiting from taking antidepressants. "I would say at least half the folks who are being treated with antidepressants aren't benefiting from the active pharmacological effects of the drugs themselves but from a placebo effect," he said in a published interview. "If people knew more, I think they would be a little less likely to go down the medication path than the psychosocial treatment path." In other findings, the Mayo Clinic researchers learned that 17% of respondents were prescribed antibiotics, 13% were prescribed antidepressants, another 13% were told to take opioids and 11% of people were prescribed high blood pressure medications. Additionally, women and older Americans were prescribed the most medications overall and received more prescriptions than men in many different drug categories, especially when it came to antidepressants. The researchers found that just about one out of four women, between the ages of 50 to 64 is currently taking an antidepressant. Dr. Daniel Carlat, clinical professor of psychiatry at Tufts University, says money and profit have a lot to do with why so many people are on antidepressants. "There is a huge financial incentive for psychiatrists to prescribe instead of doing psychotherapy," he said. "You can make two, three, four times as much money being a prescriber than a therapist. The vicious cycle here is that as psychiatrists limit their practices to primarily prescribing, they lose their therapy skills by attrition and do even less therapy." Dr. Des Spence, a general practitioner in the UK agrees, and says not only are antidepressants over-prescribed, people are taking them for too long. "We use antidepressants too easily, for too long, and they are effective for too few people," said Spence. Antidepressants are becoming "a distraction from a wider debate about why we are so unhappy as a society. But even if we accept that antidepressants are effective, a Cochrane review suggests that only one in seven people actually benefit. Thus millions of people are enduring at least six months of ineffective treatment," he said. However, Ian Reid, professor of Psychiatry at the University of Aberdeendisagrees, and told WebProNews that more antidepressants are being prescribed because more people are being treated for depression these days. "Antidepressants are but one element available in the treatment of depression, not a panacea," he said. "Like talking treatments, they can have harmful side effects, and they certainly don't help everyone with the disorder. "But they are not over-prescribed," Reid argues. "Careless reportage has demonized them in the public eye, adding to the stigmatization of mental illness, and erecting unnecessary barriers to effective care." Additional findings from the Mayo Clinic showed that spending on prescription medication in the United States made up 12% of total personal health care costs. And the total spending on prescription drugs in 2009 alone was $250 billion. Is depression over-treated in the U.S.?